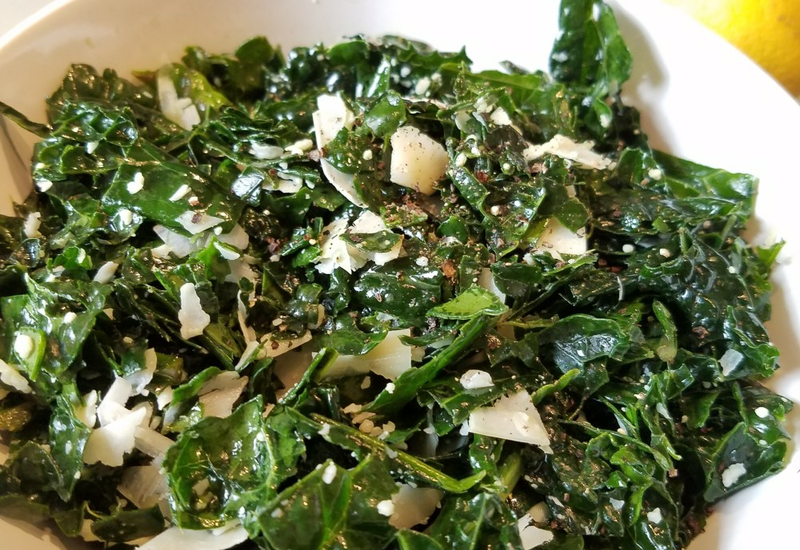 A hint of truffle oil massaged into kale pairs with Parmesan cheese to make an easy, palate-pleasing salad. It works great as a side with anything from classic Italian dishes to roasted meats. Plus, it’s ready in minutes. The key to a kale salad that is decadent and delicious rather than bitter is the step of massaging the leaves. Working the kale with your hands and the oil takes a bit takes the bitter edge off, and renders them tender enough to eat without cooking. Rub the kale leaves together between your fingers, until they just start to wilt. Topped with shaved Parmesan cheese and seasoned with salt and freshly ground black pepper, this is salad perfection! Did you know that the antioxidants in kale help reduce inflammation and support liver function? This delicious leafy green is also easy-to-grow is packed with absorbable calcium. Per Serving: 188 calories; 15g fat; 10.1g carbohydrates; 6g protein; 11mg cholesterol; 322mg sodium. I've been eating a lot of kale lately, and decided to try this recipe out. I really love how simple it is, but still has tons of flavor. Parm, salt, pepper, oil, done! Really easy salad to prepare for large groups as well. Quick, simple salad with fresh and earthy taste. Also really good with arugula mixed in and nuts.